“One or more photo(s) was virtually staged.”. Stunningly beautiful 8 month "new" home with $40,000 lot upgrade. Located in the beautiful Palmer Park community in Sarasota. 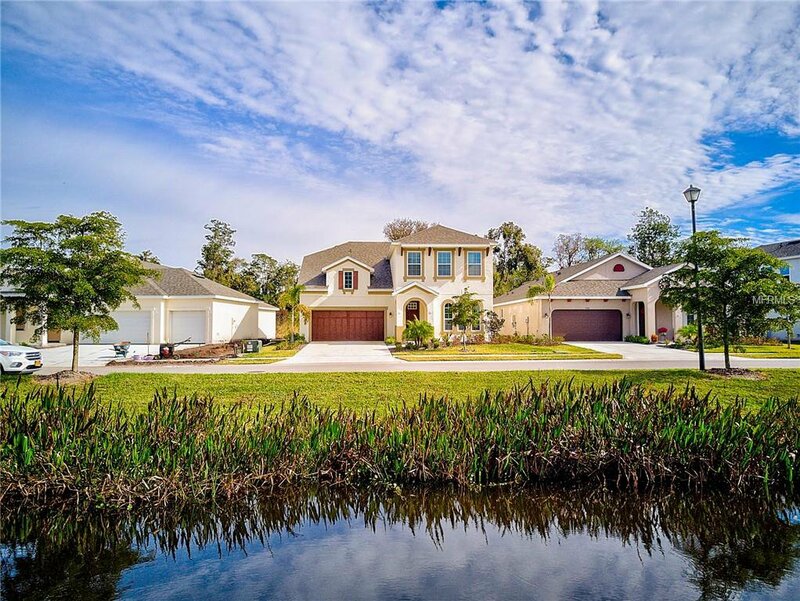 This exclusive neighborhood has only 35 homes nestled among several ponds with nature everywhere. Enter the home and to the right is a gorgeous dining room or office space with hardwood floors and French doors. Down the hallway you pass a 1/2 bathroom on the way to the open gourmet kitchen. This kitchen features plenty of cabinets, stainless steel appliances, quartz countertops, Butlers Pantry, upgraded marble backsplash, and a large center island, perfect for gatherings! From the living area to the 1st floor master bedroom that features tray ceilings, a 13ft long walk-in closet and a master bath with a walk-in glass-encased shower with floor to ceiling tile and dual sinks with quartz countertops and beautiful cabinets. The 2 story great room is located at the back of the home with easy access to your 18ft long lanai that is pre-wired for a pool and has a private preserve view. The natural light in this home is outstanding! The second floor features an en-suite bedroom with a walk in closet and 2 additional bedrooms that share another full bathroom and a 15ft by 15ft open loft with more natural lighting. Every home in Palmer Park has maintenance included in the low HOA fees! This home is in a prime location with shopping and dining close by and a short 10-15 minute drive to downtown Sarasota and our outstanding world famous beaches. Listing courtesy of KELLER WILLIAMS REALTY SELECT. Selling Office: COLDWELL BANKER RES R E.